LUTE Update » Join the New York City Men Teach Movement! 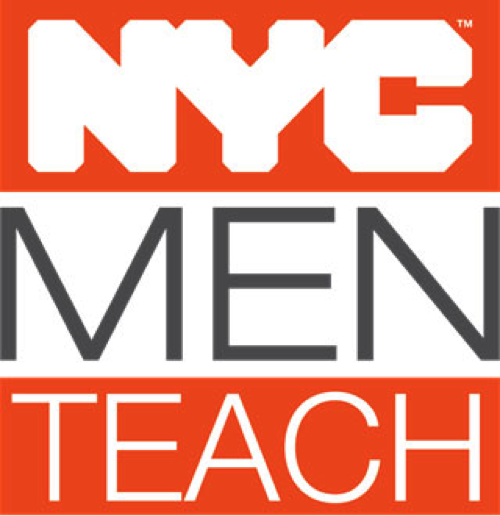 Join the New York City Men Teach Movement! In a city where the majority of the 8.4 million inhabitants are people of color, it is important that such diversity is reflected in New York City classrooms. Diverse cultures, perspectives, and realities are the backbone of our great City and inform every aspect of our daily lives. Yet, far too many young people in our City—especially young men of color—will never see someone who looks like them at the chalkboard. If we’re going to be serious about addressing inequity, diverse teachers must be a part of the overall strategy. The Young Men’s Initiative, together with Department of Education, City University of New York, Center for Economic Opportunity, and Teach for America, excitedly launches New York City’s Men Teach Movement (NYC Men Teach) to unite Black, Latino and Asian men committed to educating today’s diverse student population; supporting each other’s professional and leadership development; and empowering the communities they serve. In New York City, only 8.3% of the entire teacher workforce is made up of Black, Latino and Asian men while male students of color make up 43% of the entire public school demographic. For U.S. children, youth of color will be the majority by about 2020. Yet their classrooms—which are the bridges to opportunity, access, and success—still need more diverse instructors. And it’s not just about teaching! Research shows that students benefit from being taught by teachers with similar life experiences, creating a positive learning environment and leaving a profound impact on students’ grades and self-worth. Classrooms are also the major cultivators of tolerance, understanding, and appreciation of diverse cultures and backgrounds. NYC MEN TEACH looks to ensure that all of New York City’s young people have diverse role models, teachers, and mentors that represent the pride of New York City: DIVERSITY. NYC MEN TEACH believes that a well-supported educator results in a better learning experience for all students. This outreach and recruitment strategy provides support aimed at keeping teachers of color in schools for at least three years. Right now, we are building out our Principals and Mentor Networks, and seeking counsel on culturally-relevant professional and leadership workshops, and identifying unique opportunities for participants to change the education landscape. NYC MEN TEACH is not only about students. We are also invested in YOU!